Now, getting an industrial design has become a very sought after look. 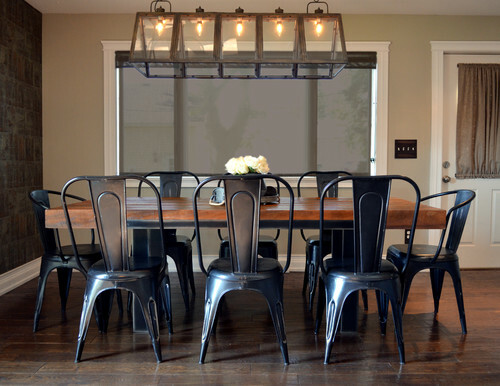 Companies such as Restoration Hardware have made a mint off of their very popular industrial pieces, and DIYers, such as myself, have become obsessed with creating the look in our own homes (as well as providing our readers with inspirations). 🙂 But what defines the Industrial interior design? Well, as already stated the most common element that comes to mind for the Industrial interior design is exposed duct work. This is very common in old warehouses or loft apartments, but not so much in a single family home. So, although it is quite appealing in certain situation, this element may not be carried over into every Industrial design. Thankfully, this is not a make or break element for this design. Other common features are exposed bricks and steel. Again, this stems from the old warehouses and the ability to “work with what you have.” But, the iconic look that comes from the use of raw materials has gradually been working its way into the interior designs of many homes. 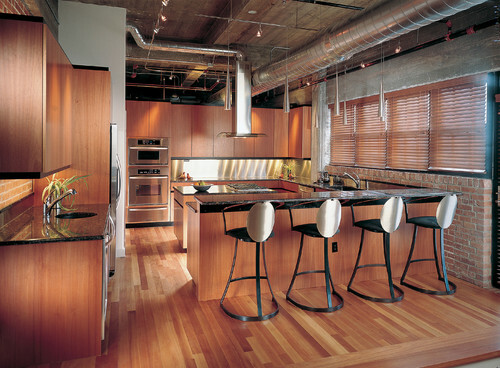 Another favorite aspect is the use of raw exposed wood. 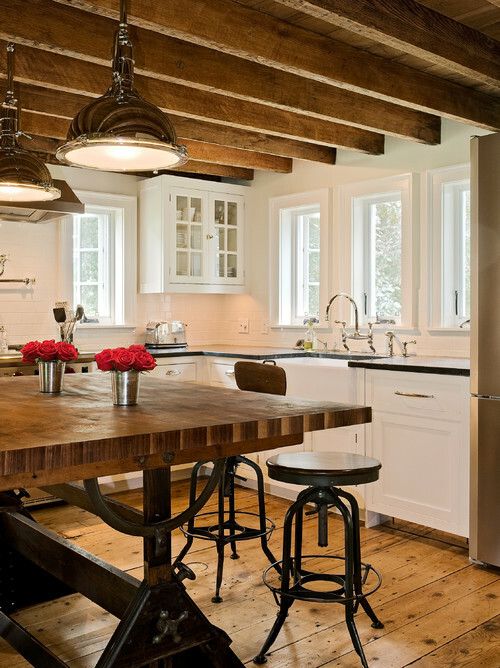 This particular feature lends more towards a Rustic Industrial design – think Restoration Hardware. At the opposite end of the spectrum is the Contemporary Industrial design. But, that is the great thing about the Industrial look. It can be taken into so many different directions! Lighting generally comes in two forms for the Industrial design, those with a raw steel appearance and those with an exposed bulb appearance. 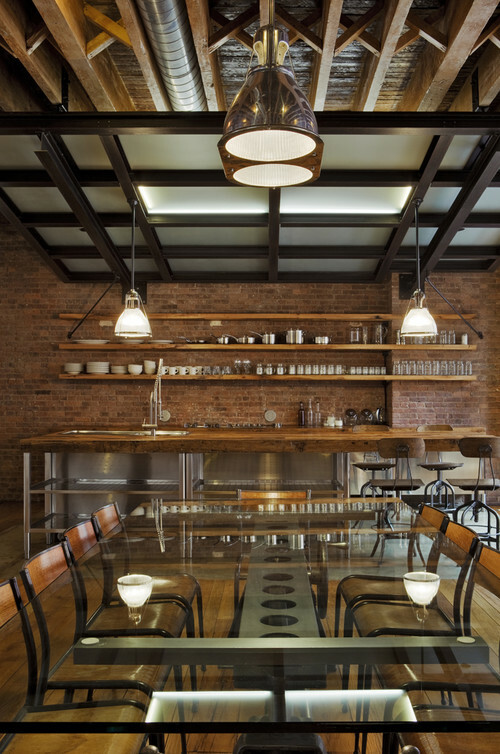 With the raw steel look, you can find the canister pendants and the cage lighting styles. However; this is not an all inclusive list of possibilities. Also a popular choice for lighting is the exposed bulb pendants. With fixtures like these an Edison bulb is a must, and if you take a look at how many Edison bulbs are being sold in your local hardware store, you will get an idea of how popular the Industrial look has become. 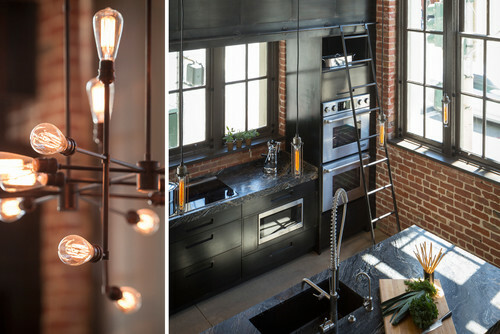 If you are wanting to create the Industrial look in your own home, don’t be discouraged if you do not live in a loft. The same design can be brought to life in a Suburban home just as easily as it can in a downtown warehouse. 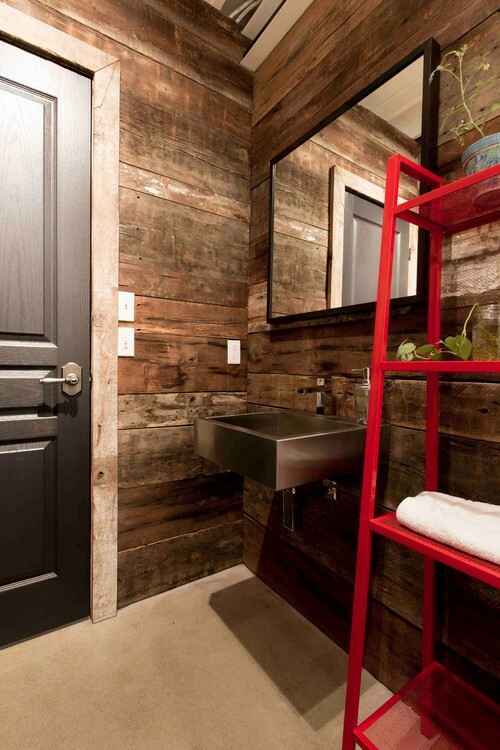 Adding reclaimed planks to a wall is a good way to add the rustic element for an industrial design. You’ll notice that the addition of a stainless steel sink and an exposed concrete floor completes the look for this bathroom. This home has achieved an Industrial design by incorporating the proper furnishings and fixtures with exposed wood beams and a plank ceiling. 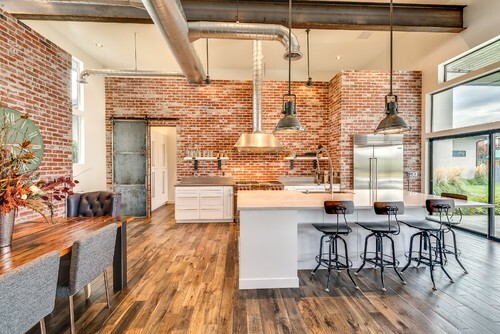 One trick to getting a complete Industrial look in a home is to carry the elements all the way from the floor to the ceiling. Here, they have done so by using wide pine plank flooring. The combination of furnishings, fixtures, ceilings, and floors over ride the very traditional cabinets and window trim. Its easy to see how this home could have gone in a different direction in design, just by altering these 4 elements. In this example, another traditional home has been given an Industrial treatment. You’ll notice the front door and trim work still show the telltale sign of its original design. However, the new look is achieved again with furnishings (an industrial table flanked with metal chairs) and fixtures ( a large glass and metal pendant). The floors have a rustic, raw look to them, and the wall feature to the left is created with the use of cork. So as you can see, the Industrial look is not restricted to the old warehouses. If you like the look, embrace it and make it your own. If this look is not quite your cup of tea, perhaps your style is more in line with one of the other styles in this series – Traditional, Transitional, Mid-Century Modern, or Craftsman.